How do I narrow my results by [subject / date / library / resource type / etc.] when I do a Library Catalog search? 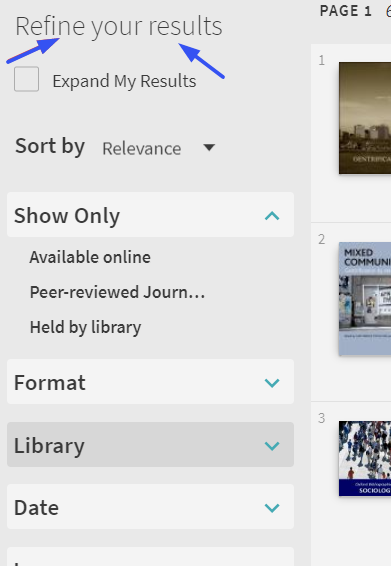 Use the "Refine your results" sidebar that appears to the left of your Library Catalog search results to narrow by Subject, Date, Library, Format (resource type), etc.